Imagine if the pillow that you cried on was my chest, and the tissue that you wiped your face with was my hand. Girl imagine if you needed advise about some other guy, I'm the one that comes to mind. Not trynna' hear you tell nobody that I'm just a friend, just trynna' to make sure I'm that body that you call your man. 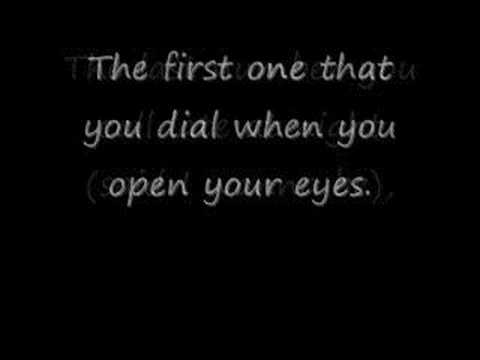 The last one you call late at night... First one that you dial when you open your eyes. Wanna be the one you run to, wanna be one that ain't gon' hurt you, I wanna be yeah... wanna be yeah. Be the man makin' your girls jealous, be the guy shutin' down all da fellas wat eva u need girl it's all on me. Would it be cool, would you mind if I called you my boo, what if the next whip u was pushin' was the one I bought for you. Have you thought about it, wait, really thought about it? Maybe you should take some time call your girls and talk about it, yeah. Cross my heart hope to die, on everything that's good, I'm a do you right, show you right, get this understood.